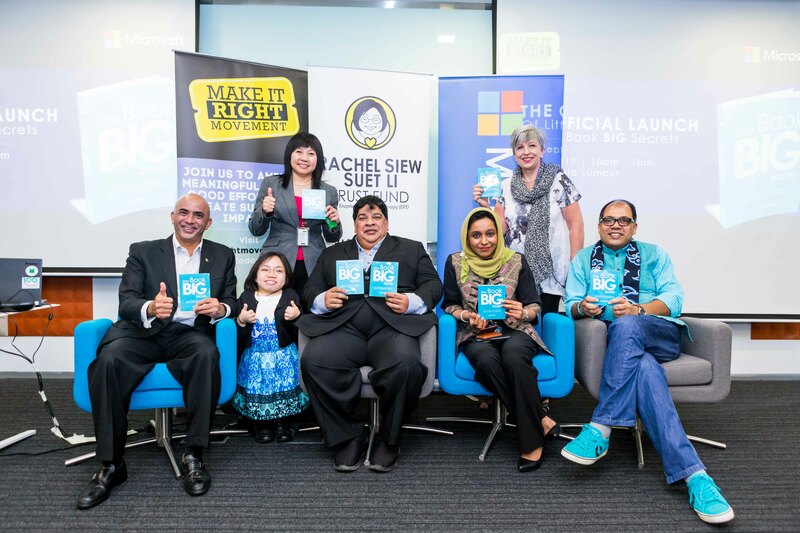 Author and Community Advocate Rachel Siew launches her first book in collaboration with the Make It Right Movement (MIRM) and Microsoft Malaysia. Kuala Lumpur, 19 September 2017 – Little Book BIG Secrets writer Rachel Siew Suet Li did not let adversity constrain her in her quest to become an author. This unique young lady born with a rare degenerative genetic condition, unveiled her first literary offering today entitled “Little Book, Big Secrets – How to blend in when you were born to stand out”. With the publication fully funded by the MIRM as well as the book launch being hosted by Microsoft Malaysia, Rachel Siew unveiled her new LinkedIn account featuring her book in the publication section. Through her account, LinkedIn users will be able to communicate with Rachel directly, sharing experiences in bringing out the best plus empowering oneself with endless possibilities. Little Book BIG Secrets is a light-hearted yet touching book that illustrates Rachel’s wit, determination and resilience. It is about the everyday challenges faced by Rachel, whose journey was determined even before she first saw the light of day. Her inspirational quotes in the face of her many challenges will help readers approach life with a positive energy and fresh perspective. “In this book, there are three significant points which reinforces my principles, which is to Inspire, to Motivate and to Empower. It is my hope to motivate and encourage other families who are in somewhat of a similar situation as mine. This may seem like a very difficult and winding journey ahead, but we can still make a difference in our lives,” said Rachel. Speaking at the launch, Managing Director of the Make It Right Movement, Mr. Raja Singham said he was very proud of Rachel’s efforts. “This book is part of the continued effort to educate ourselves of how one person like Rachel can empower the lives of millions of Malaysians. Being her former lecturer, I have seen Rachel grow from a timid girl to a fully confident, independent yet humble young woman,” said Raja Singham. He added, “The contents of this book is a fair representation of Rachel as a smart, unyielding young woman who has remained positive through her ordeals. So, don’t miss out on this opportunity, grab yourself a copy and tell your friends and family of this exciting book. We would also like to express our heartfelt gratitude to Microsoft Malaysia for partnering with us on this program to raise awareness about Rachel’s rare degenerative genetic condition”. Microsoft Malaysia’s Managing Director, Mr. K Raman also congratulated Rachel on the launch of her book. “I had the privilege of meeting Rachel recently where she shared with us her journey through determination, positivity and passion to achieve more despite her challenges. Her resilience in leading a life just like any other able-bodied person is commendable. At Microsoft, our mission is to empower every person and every organization on the planet to achieve more. It is part of our agenda to continuously provide, equip and empower people of all abilities with digital skills and opportunities so that they can achieve more and build a better future with technology. Inspired by Rachel story and strength, we are proud to be in partnership with the Make It Right Movement and will continue to support Rachel on her quest to raise awareness about her rare degenerative genetic condition,” he added. Rachel suffers from Mucopolysaccharidoses (MPS IVA) also known as Morquio Syndrome, a rare degenerative condition that affects her physically but not intellectually. In 2015, a drug called VIMIZIM, an intravenous enzyme replacement therapy was made available in Malaysia. This drug would have given Rachel the independence she had long yearned for. However, the answer to her prayers was costly. Treatment for this condition is in access of RM1.6 million per annum which she would have to undergo for the rest of her life. Despite her struggles, Rachel has found a way to help herself as well as to inspire others in need. 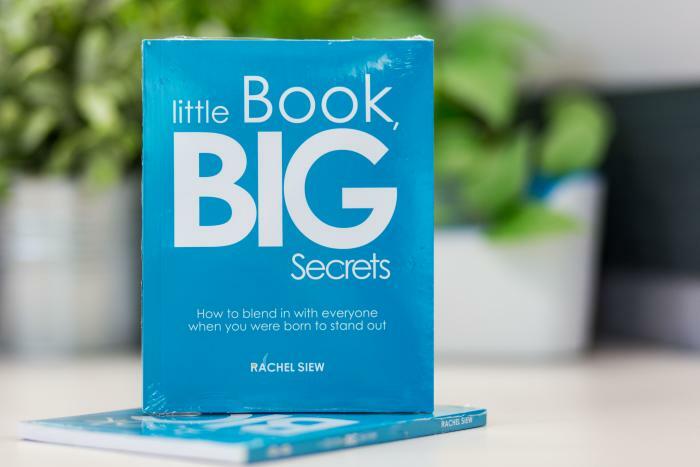 “Little Book, BIG Secrets – How to blend in when you were born to stand out” is now available for purchase via LinkedIn and through community effort via Facebook for the amount of RM39.90 only. Alternatively, you may contact Rachel Siew directly at rstf2016@gmail.com to purchase the book or for further details. 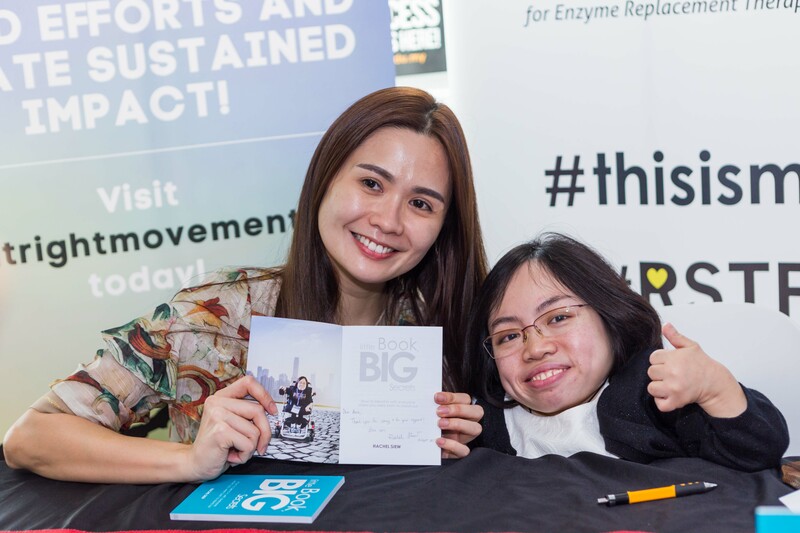 Full proceeds from the sales of the book will go to the Rachel Siew Trust Fund managed by appointed Trustees and is legitimately established with Alliance Bank Malaysia Berhad. RSTF is created and established for the purpose of assisting Rachel Siew Suet Li’s medical needs and it shall be solely and exclusively used for the following objectives; to support and financially sustain life long Enzyme Replacement Therapy (ERT) treatment for Rachel Siew Suet Li and to increase public and professional awareness on Mucopolysaccharidoses (MPS IVA) also known as Morquio Syndrome. Visit Rachel Siew Suet Li Trust Fund on Facebook for more info. Founded in 2015, the Make It Right Movement (MIRM) is a CSR Initiative by BAC offering Malaysians the opportunity to be involved in social good. Leveraging on the collective resources of the BAC Education Group, MIRM collaborates with over 80 social good entities, and is involved in more than 200 charity and CSR-related projects and events annually. MIRM seeks to engender a profound positive change in society, and create a robust self-perpetuating community focused on amplifying meaningful social good efforts. Its’ projects and programmes also serve to develop students’ minds, provide them with holistic education and empower them to make a difference. For more information about MIRM, visit www.makeitrightmovement.com or follow us on Facebook (/MakeItRightMovement), Twitter (@MakeItRightMy) and Instagram (@MakeItRightMovement).